Haukeliseter is situated in the middle of southern Norway, just in between Oslo, Bergen and Stavanger. You'll reach us easily by car or bus all year round, following road E134. We're at the road's highest passage over Haukelifjell, aproximately 1000 meters above sea level, in between the villages of Haukeli and Røldal. Haukeliseter is a very popular start and end point for people who are trekking between the mountain cabins following the Norwegian Trekking Association's (DNT:s) marked routes. 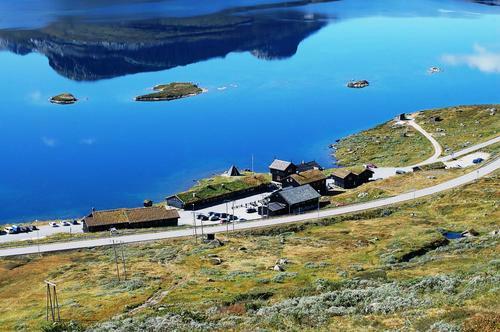 There are very good trails and cabins both south and north of Haukeliseter in Hardangervidda national park and Setesdalsheiene. More people are also discovering the joy of using Haukeliseter as a more permanent base for their nature experiences. You can hike in varied terrain during the day, while being able to endulge our relaxing wilderness spa in the afternoon and enjoy delicious food in the company of others during the evening. 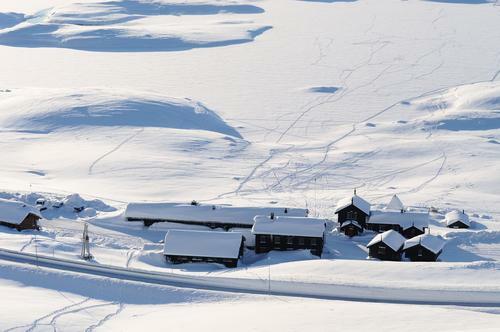 At Haukeliseter you can also rent kayaks, fishing gear, mountain touring skis and snow shoes. We arrange dog sledge tours, kite courses, avalanche courses and a wide range of activities for both adults and children. Finding us is easy! Haukeliseter is situated on "Haukelifjell” in the middle of southern Norway just off road E134 and you can reach us by car, bus or by foot of course - if you are trekking. It takes between three to five hours to get here from most of the towns in the south of Norway such as; Oslo, Bergen, Stavanger, Kristiansand, Haugesund, Skien and Porsgrunn. We're at the roads highest passage over Haukelifjell, 1000 meters above sea level, between the villages of Haukeli and Røldal. The mountain station is clearly visible from the road and it's signs posted one kilometre before from both directions. The bus company “Norway Bussekspress” has several departures everyday from many of the towns in southern Norway. You can check the timetables on their web page here. Whilst Haukeliseter is easily accessible, it is set deep in the untouched mountain wilderness amongst the everlasting plains and grandiose glacial lakes of Southern Norway.